The Republic of Dravida is a nation led by President Dankmemer on the continent of Asia. The Republic of Dravida's government is a Parliamentary Democracy with very libertarian social policies. Economically, The Republic of Dravida favors far left wing policies. The official currency of The Republic of Dravida is the Rupee. At 8 days old, The Republic of Dravida is a new nation. The Republic of Dravida has a population of 193,719 and a land area of 3,730.50 sq. miles. This gives it a national average population density of 51.93. Pollution in the nation is a problem. The citizens' faith in the government is plentiful with an approval rating of 99.8594%. It's a nice country to live in. Small though. 04/19 02:46 pm - founded a new city, Madurai. 04/17 11:39 am - founded a new city, Thiruchirapalli. 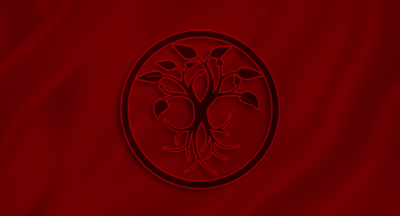 04/16 11:33 am - Dravida applied to join the alliance The Commonwealth. 04/16 12:57 am - Dravida placed an embargo on Mountania. 04/16 12:17 am - founded a new city, Kancheepuram. 04/15 09:21 pm - Dravida was created!